Hello Friends! I hope you are having a fantastic week. If you are looking for Brenda’s Thursday post, we did a swap-a-roo and she will be here this coming Monday to share her project with you. Today, I wanted to stop by real quick to share some exciting news with you. 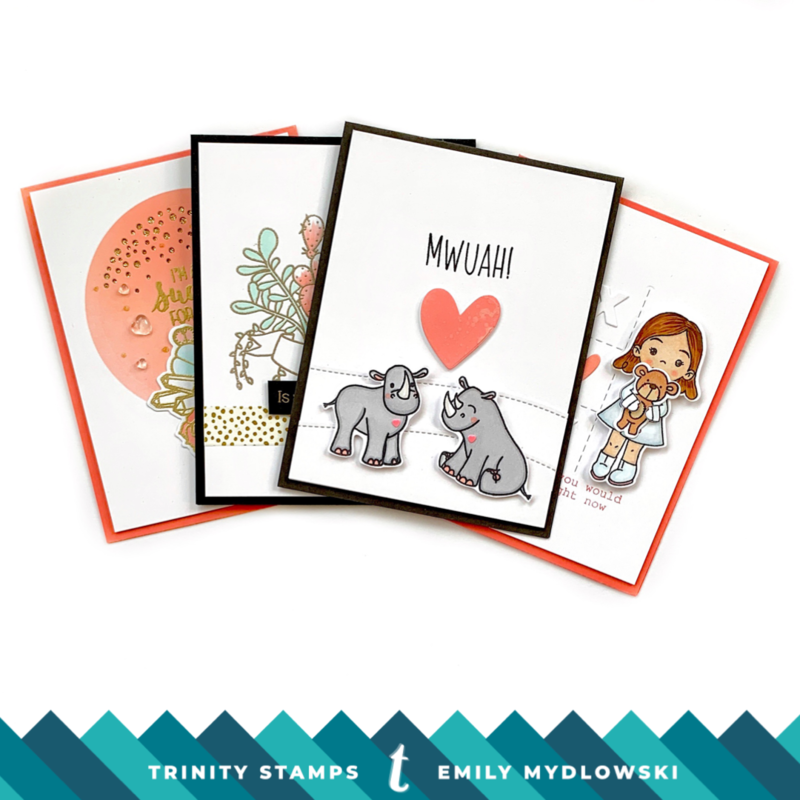 We are thrilled to tell you that Trinity Stamps is a feature on the Ellen Hutson LLC blog and wanted to welcome you over to ellenhutson.com to see all the Trinity Stamps projects and items in their shop. I have four cards featuring the Let Love Grow, Succulent Banner, Rhino Bird Day and the Seasonal Sweetheart stamps sets. I can’t wait for you to see everything and hope you can stop by! A big warm thank you to Ellen Hutson and team! YAY! how fun, off to check it out!